There are two versions of this Gospel Illustration. The variations in the two designs are quite subtle. 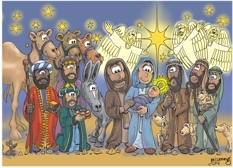 In this version you will see one of the wise men (standing in front of camels) is wearing a red cloak, in the other version he has a blue cloak on. 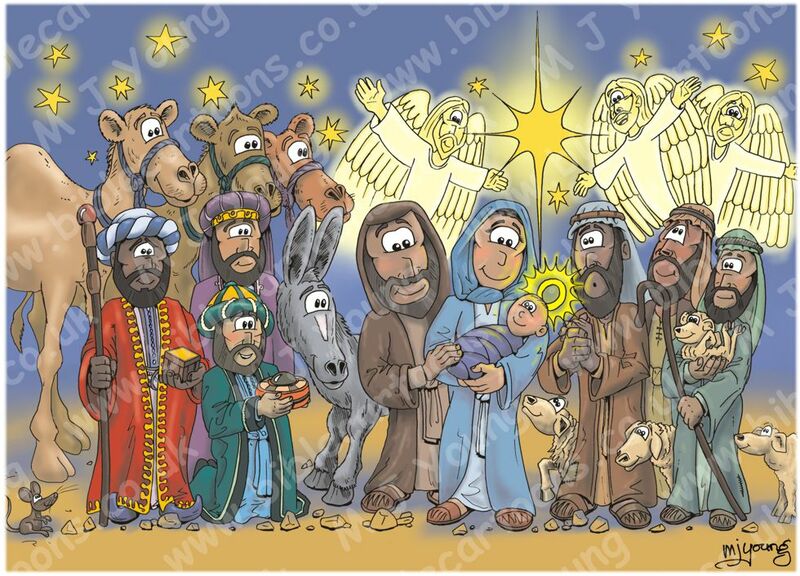 The picture was originally designed for a BC Christmas card, but I thought I’d make it available as a Gospel Illustration as well.